Sumatran Rhinoceros The Sumatran Rhinoceros (Dicerorhinus sumatrensis), once ranged through rainforests, swamps and cloud forests in India, Burma, Thailand, Malaysia and islands in Indonesia. Sumatran rhinoceroses are now critically endangered with only 6 substantial populations in the wild, four on Sumatra, one on Borneo and one on peninsular Malaysia. The number of Sumatran Rhinoceros is difficult to determine because they are solitary animals and widely scattered across their range, however, they are estimated to be around 300 remaining. 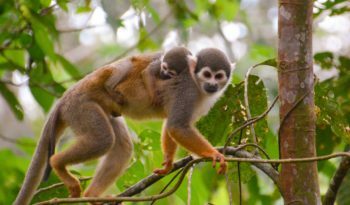 Their habitats include dense highland and lowland tropical and sub-tropical forests. 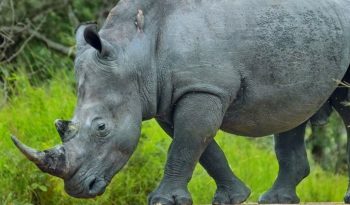 The Sumatran or ‘hairy’ rhino as it is sometimes referred to, is the smallest of the living rhinoceroses. Characteristics include fringed ears, reddish-brown skin variably covered with long hair and wrinkles around its eyes. 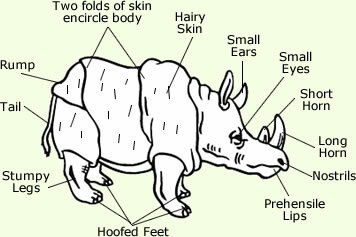 There are two deep skin folds that encircle the body, behind the front legs and in front of the hind legs. The Sumatran rhino stands about 120 – 145 centimetres (3.9 – 4.8 feet) high at the shoulder, with a body length of 250 centimetres (98 inches) and weight of 500 – 800 kilograms (1100 – 1760 pounds) although the largest individuals have been known to weigh as much as 1,000 kilograms. 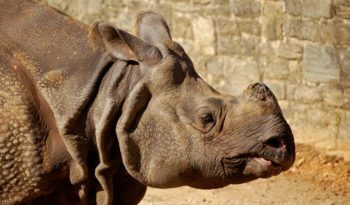 Like the African species, it has two horns, the larger is the nasal horn, typically 15 – 25 centimetres (6 – 10 inches), while the other horn is typically a stub. It is noted that the second horn may be absent in female Sumatran rhinos. Sumatran rhinos are a solitary and secretive species, they occupy territory that is conspicuously marked with dung, urine and soil scrapes. The Sumatran Rhino is a mostly solitary animal except for courtship and child-rearing. The interval between births of calves is around 3 – 4 years, so they do not occur very often. The Sumatran rhino matures around 6 – 8 years old and calves are born during the wet season which runs from October to May each year. A single calf is born and weaned for about 16 months. Calves are born with a dense covering of hair which turns reddish brown in young adults and becomes sparse, bristly and almost black in older animals. Here are two Sumatran rhino calves. Notice the hair on their bodies in which they are born with. Sumatran rhinos spend the day in wallows allowing the mud to cool their skin and protect it from drying out in the hot sun. Foraging occurs either at night or during the cool of the early morning and evening. Young saplings (trees) are their favourite food and these trees are cut down and trampled on before being eaten. Essential minerals are obtained from salt licks and these are a requirement for each home range. The Western Sumatran Rhinoceros (Dicerorhinus sumatrensis sumatrensis), has only around 275 rhinos remaining, mostly on western Sumatra. Around 75 may live on Peninsular Malaysia. 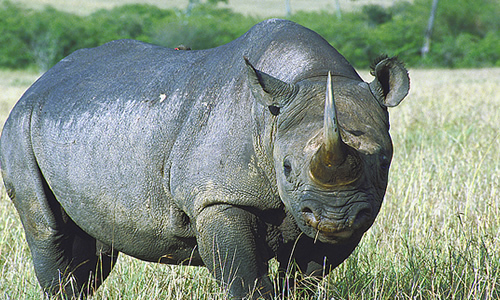 The main threats against this subspecies are habitat loss and illegal poaching. The Eastern Sumatran Rhinoceros or Bornean Rhinoceros (Dicerorhinus sumatrensis harrissoni), were once common throughout Borneo, now only about 25 individuals are estimated to survive. The known population on Borneo lives in Sabah. There are unconfirmed reports of animals surviving in Sarawak and Kalimantan. This subspecies is named after Tom Harrisson, who worked extensively with Bornean zoology and anthropology in the 1960s. The Bornean species is markedly smaller than the other two. 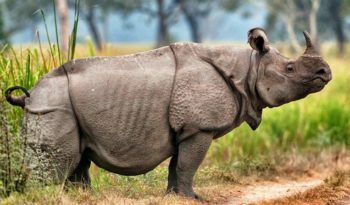 The Northern Sumatran Rhinoceros (Dicerorhinus sumatrensis lasiotis), once roamed in India and Bangladesh, however, it has been declared extinct in these countries. 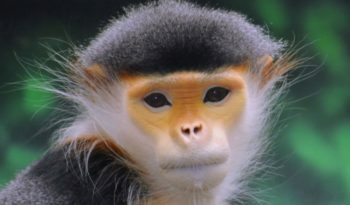 Unconfirmed reports suggest that there may be a small population still surviving in Burma, but the political situation in the country has prevented verification.The name ‘lasiotis’ is derived from the Greek for ‘hairy-ears’. Later studies showed that their ear-hair was not longer than other Sumatran Rhinos, but D.s. lasiotis remained a subspecies because it was significantly larger than the other subspecies. The Sumatran Rhino is critically endangered due to destruction of its rainforest habitat. 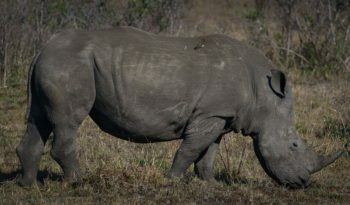 Known populations of this rhino are small and widely scattered, its forest habitat is dwindling fast and the threat of poaching is ever-present. Today, the world population of the Sumatran rhino may be below 300 individuals in the wild and so far captive breeding attempts have been unsuccessful. If the Sumatran Rhino is to survive much longer, urgent measures are needed to save the forests where it still occurs. Like all rhino, the Sumatran rhino is extremely low in population and although they live in protected areas, illegal horn poaching still occurs and threatens this rare species more each day. Most remaining habitat is in inaccessible mountainous areas of Indonesia, where the government has shown no inclination to discourage clearing of rhino habitat for the benefit of the timber industry. The Sumatran Rhinoceros is the last surviving species in the same group as the extinct woolly rhinoceros.